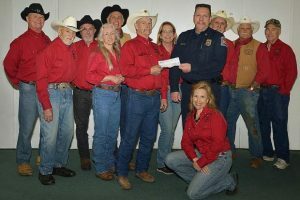 Penn Valley Community Rodeo Association board members present a $1,000 donation to Chief Don Wagner of the Penn Valley Fire Protection District. The funds will go toward a scholarship program to support paramedic certifications. 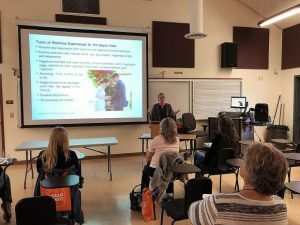 Fire safety and paramedics are hot topics in Nevada County and specifically for rural areas like Penn Valley as medical care can be 20 to 30 minutes away without local paramedics in Penn Valley itself. In 2018, Penn Valley Fire Protection District board member Bruce Stephenson came to see the Penn Valley Rodeo board with a new program that he wanted to establish — a scholarship program to support paramedic certifications for Penn Valley Fire Protection District. The Penn Valley Rodeo grounds is owned by Penn Valley Fire Protection District Board who for many years put the rodeo on as a fundraiser for the Fire Department so their are longtime ties between Penn Valley Fire Protection District Board and the Penn Valley Rodeo. Board members of the Penn Valley Rodeo voted unanimously to seed the scholarship fun with a $1,000 donation. The first recipient, Colin Gault began his paramedic training in October of 2018. The paramedic program he is enrolled in has three portions” 456 hours in the classroom over a seven month period, clinical rotation (in hospital), amounting to 160 hours and two months and the field internship (on an ambulance), requiring 480 hours and four months. 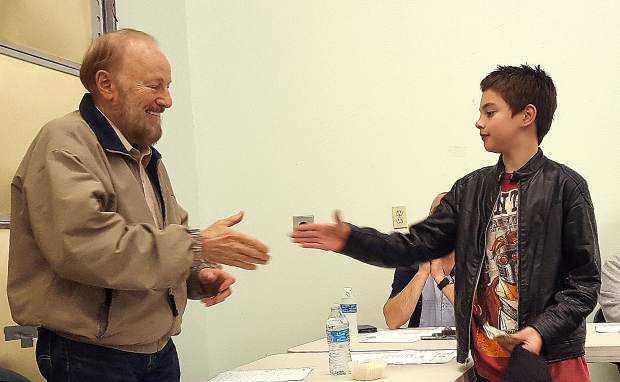 Gault is nearing the end of the didactic portion of the program and is the top student in his class, a position he has maintained throughout the course. On April 2, the Penn Valley Community Rodeo Association Board was honored to continue our support by donation another $1,000 toward the paramedic training scholarship for employees of Penn Valley Fire. Penn Valley Fire Protection District is accepting donations now to send another of its employees through the training program in the fall of 2019. As part of the commitment from the employee to receive the scholarship is to agree to remain employed by the Penn Valley Fire Protection District for a period of three to five years depending on the amount of money awarded through the scholarship. If they leave, they must reimburse the funds they received. To learn more about the program or to donate, contact Don Wagner, fire chief of the Penn Valley Fire Protection District at 530-432-2630 or visit http://www.pennvalleyfire.com.